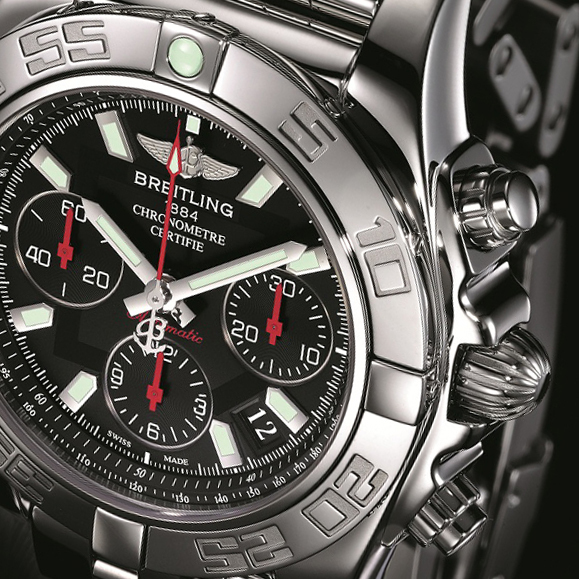 Breitling introduced a new version of its Chronomat model in a 2,000-piece limited series characterized by a 41mm case size. The sporting touch of the Chronomat 41 Limited is accentuated by a black dial with a red central chronograph seconds hand and red counter hands. The original lines of the steel case are enhanced by all-polished finishes – as are the bracelet and the rotating bezel engraved with exclusive numerals. 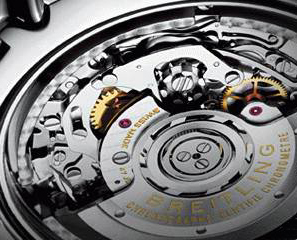 The transparent sapphire crystal caseback lets the owner admire the Breitling Caliber 01, entirely developed and produced in the brand workshops. Water-resistant to 200 m (660 ft), the Chronomat 41 Limited is naturally chronometer certified by the COSC (Swiss Official Chronometer Testing Institute) – as indeed are all Breitling models - and supplied with a 5 years warranty. 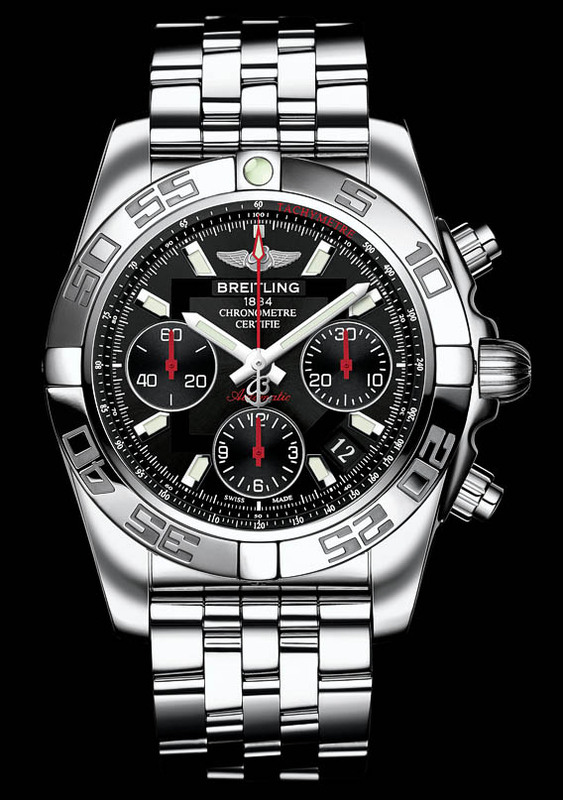 Breitling - Chronomat 41 Limited Ref. 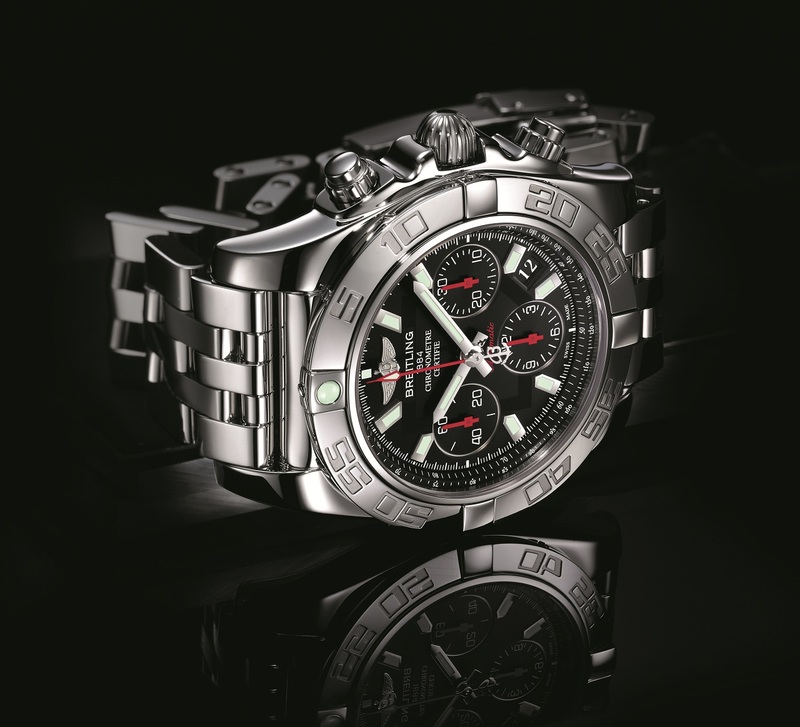 AB014112 Breitling introduced a new version of its Chronomat model in a 2,000-piece limited series characterized by a 41mm case size.